From cracking the human genome to advancing medical research through computer games, British social entrepreneurs have a proud history of using technology to make the world a better place. Last year, we launched the Global Impact Awards to support nonprofits using technology to tackle some of the world’s toughest problems. We gave $23 million to seven organizations working on projects ranging from aerial technology that protects wildlife to data algorithms that ensure more girls and minorities get placed in advanced math and science classes. Today, as the next step in the Impact Awards, we’re kicking off our first Global Impact Challenge in the U.K., inviting British nonprofits to tell us how they would use technology to transform lives. 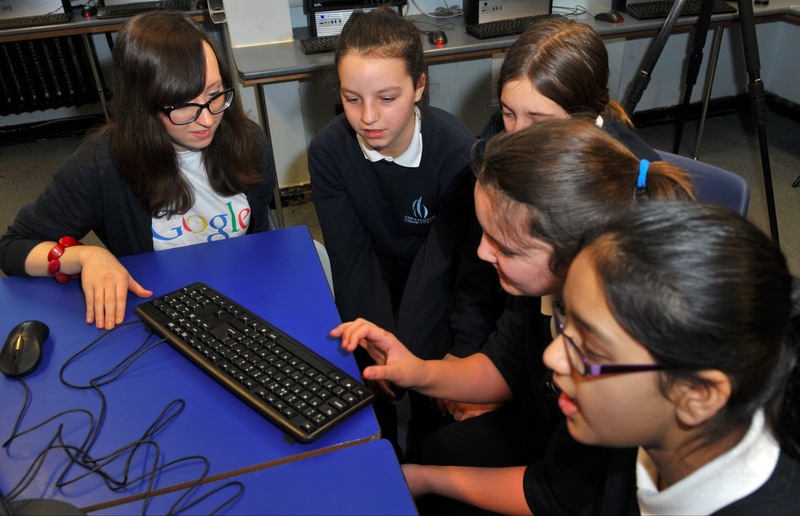 Four nonprofits will each receive a £500,000 Global Impact Award, as well as Chromebooks and technical assistance from Googlers to help make their project a reality. Applications open today, and registered British nonprofits are invited to apply online at g.co/impactchallenge. We’ll review applications and announce 10 finalists on May 22. At that point, people across the U.K. can learn more about the projects of the top 10 finalists, donate to the ones they like and cast a vote for fan favorite. On June 3, the top 10 finalists will pitch their concepts to a judging panel that includes us (Matt Brittin and Jacquelline Fuller), Sir Richard Branson, Sir Tim Berners-Lee and Jilly Forster. 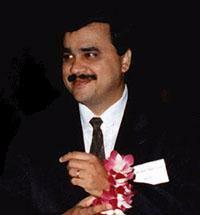 The three awardees and the fan favorite will be revealed at the event, which will take place at Google London. Technology can help solve some of the world’s most pressing challenges and we’re eager to back innovators who are finding new ways to make an impact. Today we’re starting the hunt in the U.K., but we also know that nonprofits all over the world are using techy approaches to develop new solutions in their sector. 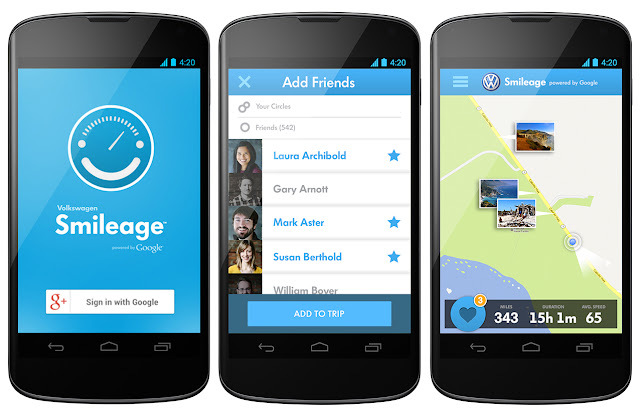 Who knows, the Global Impact Challenge might head your way next. 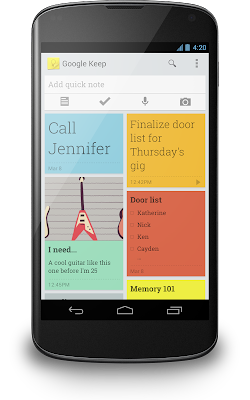 Google Keep—Save what’s on your mind: Every day we all see, hear or think of things we need to remember. Usually we grab a pad of sticky-notes, scribble a reminder and put it on the desk, the fridge or the relevant page of a magazine. Unfortunately, if you’re like me you probably often discover that the desk, fridge or magazine wasn’t such a clever place to leave the note after all...it’s rarely where you need it when you need it. To solve this problem we’ve created Google Keep. With Keep you can quickly jot ideas down when you think of them and even include checklists and photos to keep track of what’s important to you. Your notes are safely stored in Google Drive and synced to all your devices so you can always have them at hand. If it’s more convenient to speak than to type that’s fine—Keep transcribes voice memos for you automatically. There’s super-fast search to find what you’re looking for and when you’re finished with a note you can archive or delete it. Changing priorities isn’t a problem: just open Keep on your Android phone or tablet (there’s a widget so you can have Keep front and center all the time) and drag your notes around to reflect what matters. You can choose the color for each note too. Pro tip: for adding thoughts quickly without unlocking your device there's a lock screen widget (on devices running Android 4.2+). Art, Copy & Code: a series of experiments to re-imagine advertising: Last year, we started a program to partner with advertisers and agencies to re-imagine how brands tell stories in a connected world. Project Re: Brief set out to recreate some of the advertising industry’s most iconic, classic campaigns using the latest technology tools. This year we’re expanding that program to work with some of today’s most iconic brands and innovative marketers, in our new project: Art, Copy & Code. 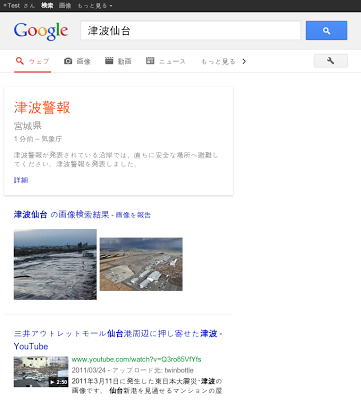 Public Alerts for Google Search, Google Now and Google Maps available in Japan: With nearly 5,000 earthquakes a year, it’s important for people in Japan to have crisis preparedness and response information available at their fingertips. And from our own research, we know that when a disaster strikes, people turn to the Internet for more information about what is happening. 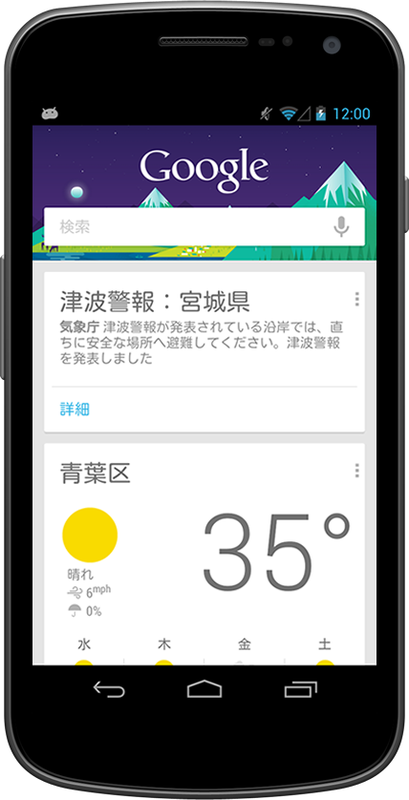 With this in mind, we’re launching Google Public Alerts today in Japan—the first international expansion of a service we debuted last year in the United States. Google Public Alerts is a platform designed to provide accurate and relevant emergency alerts when and where you’re searching for them online. 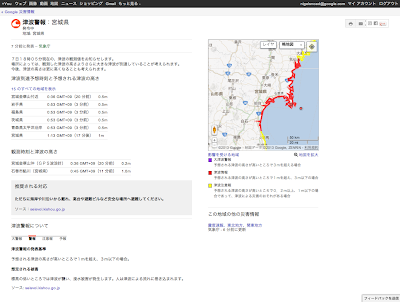 Relevant earthquake and tsunami warnings for Japan will now appear on Google Search, Google Maps and Google Now when you search online during a time of crisis. If a major earthquake alert is issued in Kanagawa Prefecture, for example, the alert information will appear on your desktop and mobile screens when you search for relevant information on Google Search and Google Maps. 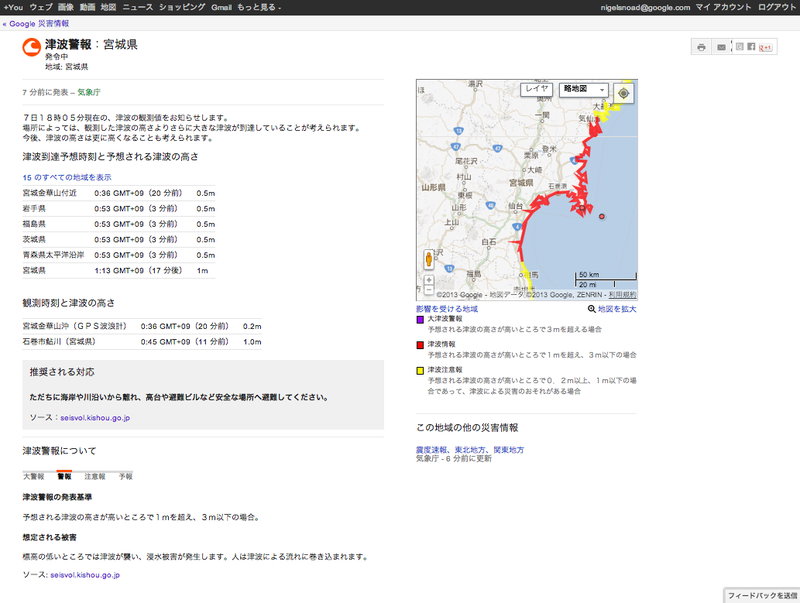 If you click “詳細” (“More info”) right under the alert, you’ll see more details about the announcement, including the full description from the Japan Meteorological Agency, a link to their site, and other useful information like observed arrival times and wave heights for tsunamis. 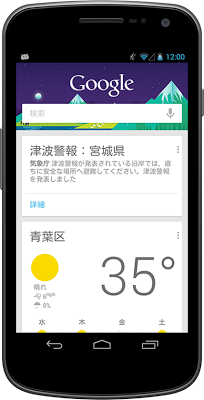 We’re able to provide Public Alerts in Japan thanks to the Japan Meteorological Agency, whose publication of data enables Google and others to make critical and life-saving information more widely available. We hope our technology, including Public Alerts, will help people better prepare for future crises and create more far-reaching support for crisis recovery. 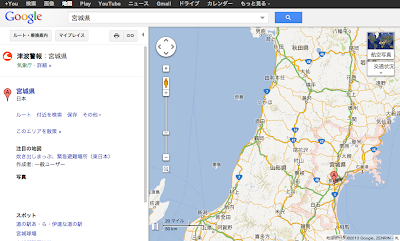 This is why in Japan, Google has newly partnered with 14 Japanese prefectures and cities, including seven from the Tōhoku region, to make their government data available online and more easily accessible to users, both during a time of crisis and after. The devastating Tōhoku Earthquake struck Japan only two years ago, and the region is still slowly recovering from the tragedy. 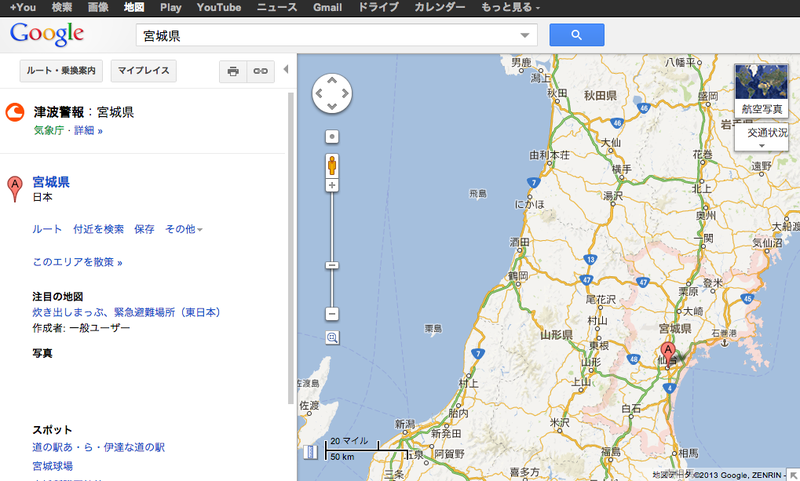 We look forward to expanding Google Public Alerts to more countries and working with more warning providers soon. We also encourage potential partners to read our FAQ and to consider putting data in an open format, such as the Common Alerting Protocol. To learn more about Public Alerts, visit our Public Alerts homepage. Celebrating Google Play’s first birthday: Accessing digital entertainment should be simple, whether you like to read books on your tablet, listen to music on your phone and computer, or watch movies on all three. That’s why one year ago today we launched Google Play, where you can find and enjoy your favorite music, movies, books and apps on your Android phone and tablet, or on the web.